West Side park was constructed in 1854. 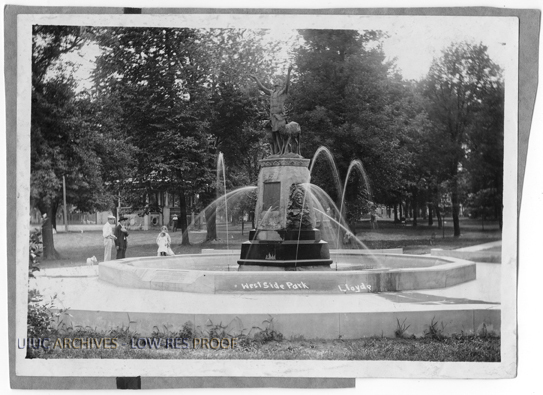 Originally laid out as a public square and potential site for a new County Courthouse, West Side Park, formally known as White Park was named for John P. White who donated the land the park now sits on. At the time of its construction the City of West Urbana (now Champaign) was hardly a blip on a map. 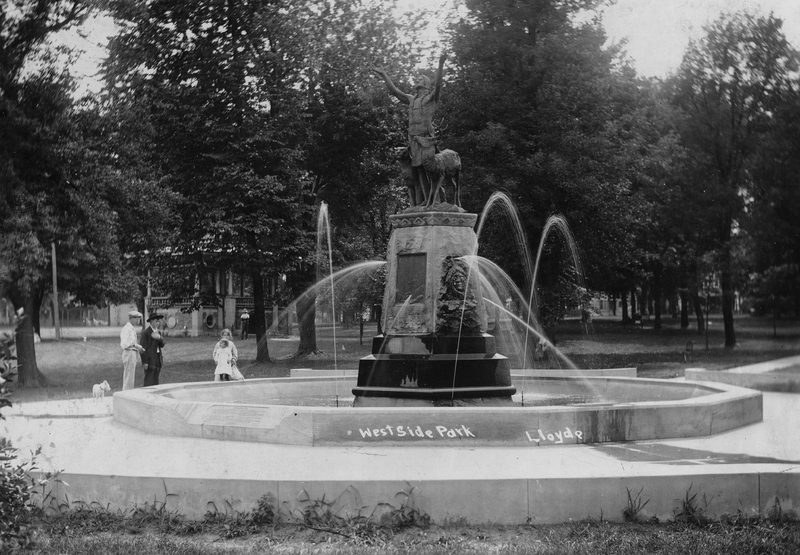 West Side park truly represented the western edge of the community when its 12.5 acres were platted and built in 1854.
a bronze statue of a native american atop a fountain and pool. It was designed by Edward Kemeys of 1893 Columbian Exposition fame. 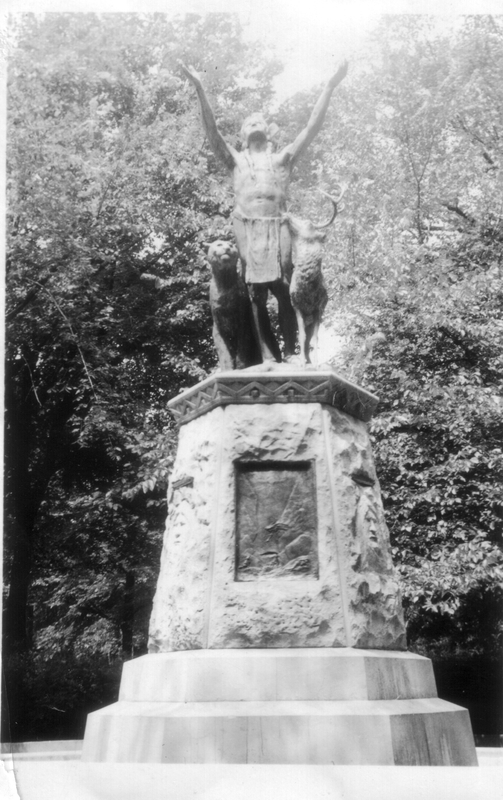 Kemeys is also know for his work in New York’s Central Park as well as the bronze lions that stand guard outside the Chicago Art Museum. 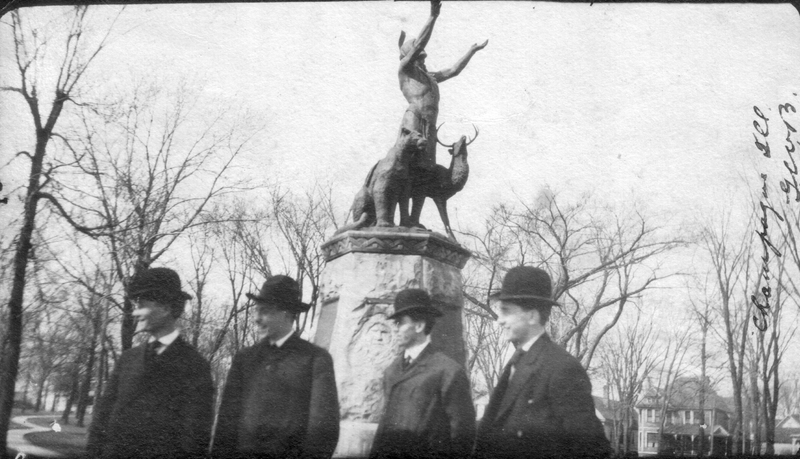 The statue has kept watch over the park for nearly 110 years since its dedication on June 1, 1899. The statue was restored by the Champaign Park District and rededicated on June 26, 1999. As a testament to the age of the park. in 1861 the town council passed a resolution allowing cattle to graze on the land for a mere $0.35 cents. 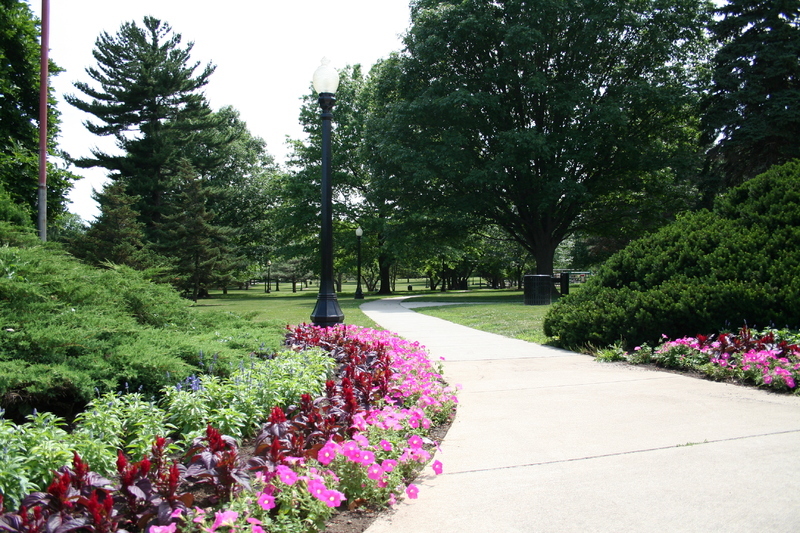 While no more cattle graze it’s land, West Side Park remains Champaign’s most historic park space and the front lawn for it’s oldest neighborhoods. 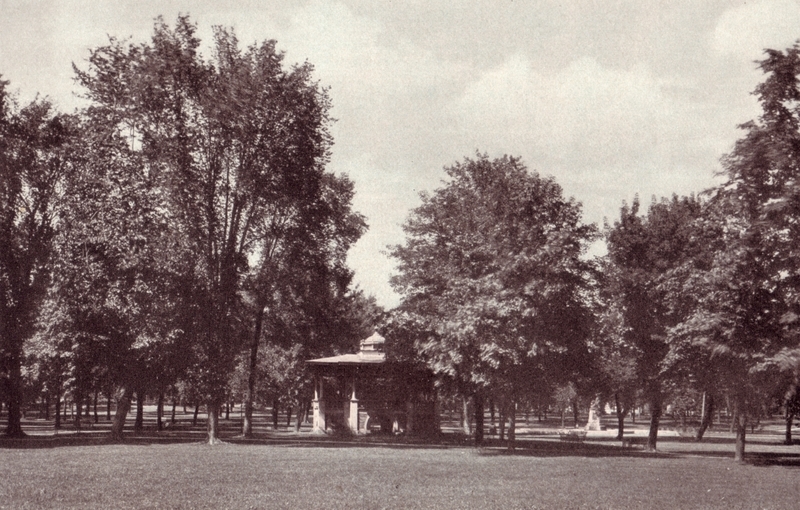 The original bandstand in West Side Park was constructed in 1854 and demolished in 1964. 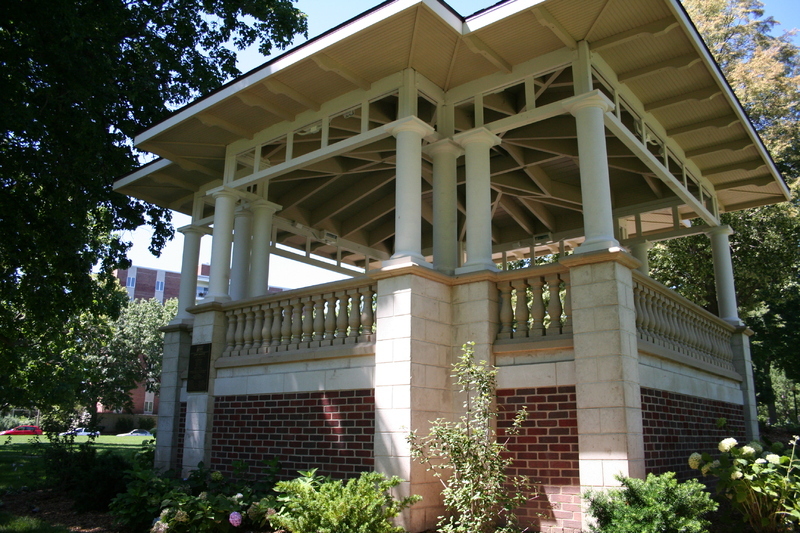 Recently completed in 2008 is the recreation of the historic band stand which once played host to a number of important Champaign historical moments. Perhaps its greatest visitor was Theodore Roosevelt who spoke to throngs of spectators as he campaigns for President on the Bull Moose ticket on April 8, 1912. 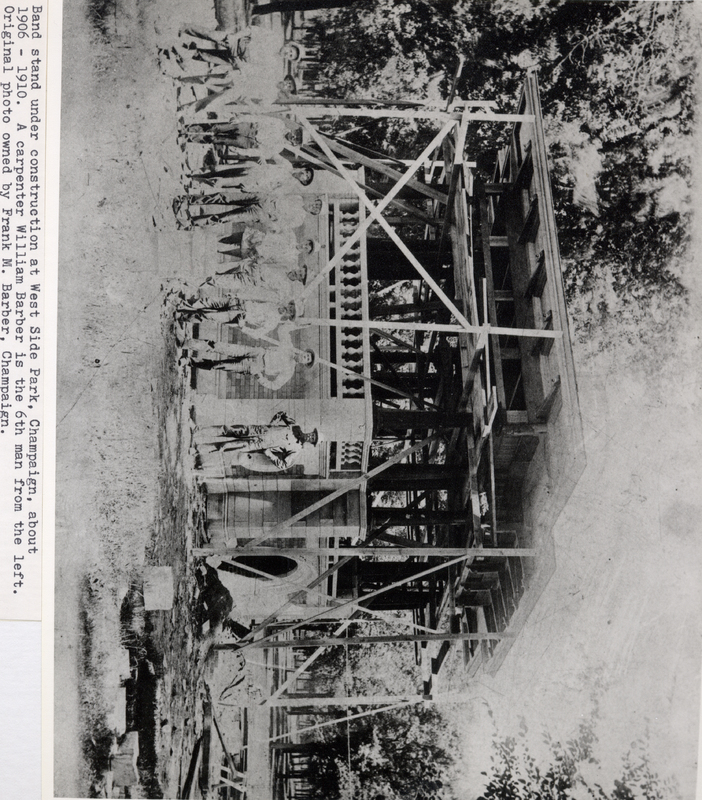 After the original band shell fell into disrepair it was finally razed. Today thanks for the generous contribution of former park commission Terry Bilbry the new bandshell has been constructed in its original location with architectural details inspired from the first band stand. Aside from the band shell other notable West Side Park facts include thirty six memorial trees that are planted in West Side Park. A memorial to local police officers killed in the line of duty is located in the north east corner of the park and the Bicentennial capsule for Champaign County is buried next to the “Prayer For Rain” fountain in the park. 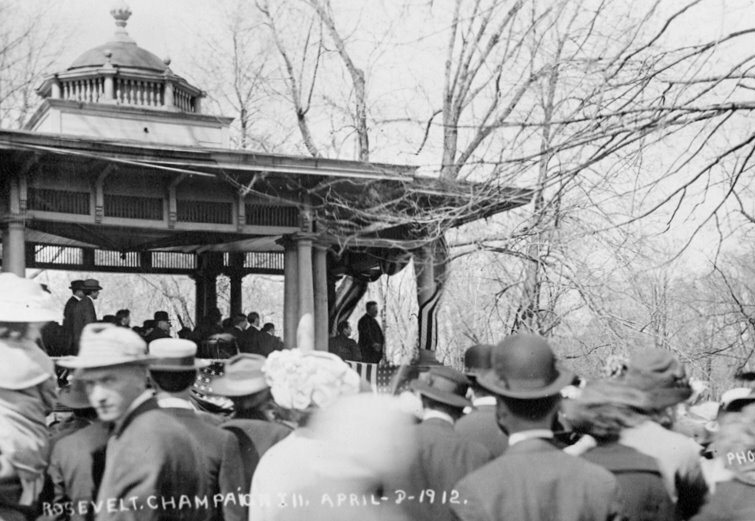 Presidential candidate Theodore Roosevelt addressing a crowd from the bandstand in West Side Park, Champaign. 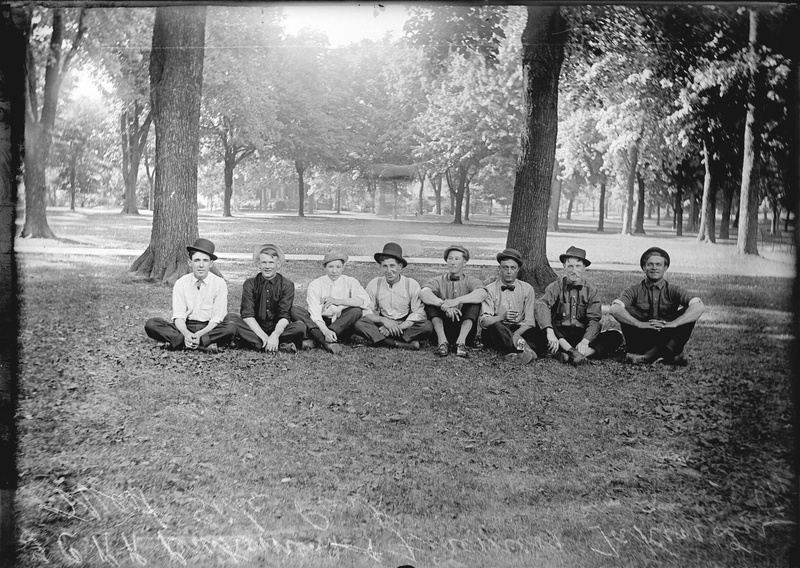 ~ Source: Champaign County Historical Archives at The Urbana Free Library, Urbana, Illinois ~ Date: Published April 8, 1912. 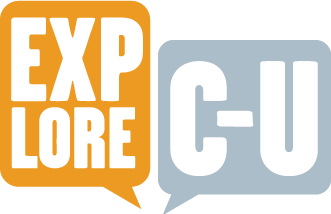 T.J. Blakeman, “West Side Park,” ExploreCU, accessed April 22, 2019, https://explorecu.org/items/show/366.